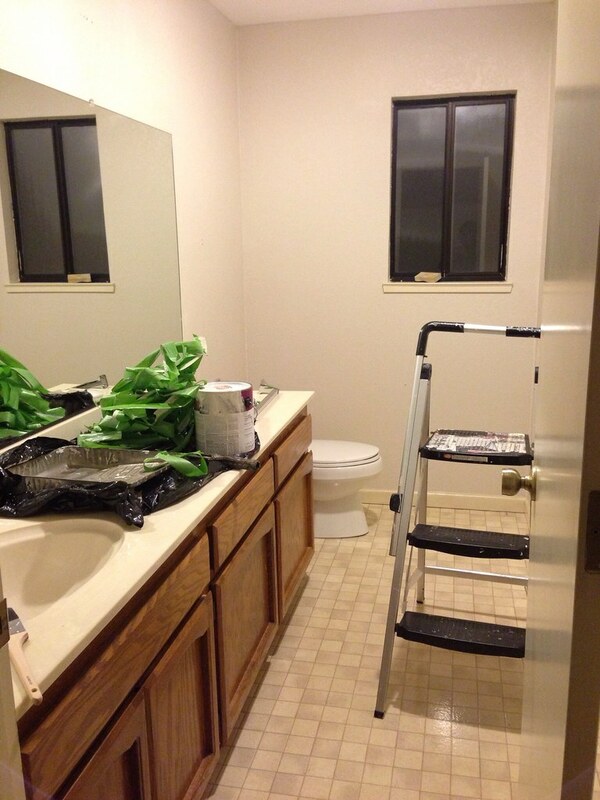 Today, I painted the guest bathroom. I had plenty of Behr’s Chocolate Froth leftover from when I painted the bedroom, so naturally it was my color of choice for the bathroom. I also picked up a few apothecary jars from Home Goods so I can have a nicer way of storing cotton balls and ear swabs. Once Joshua puts in the new faucet and puts the towel racks back up I’ll be able to play with decor with a little more. Now, the ONLY room left to finish painting is the entertainment room, and all that requires is Joshua painting two walls. Once he gets that done we can pack up the painting materials for awhile. 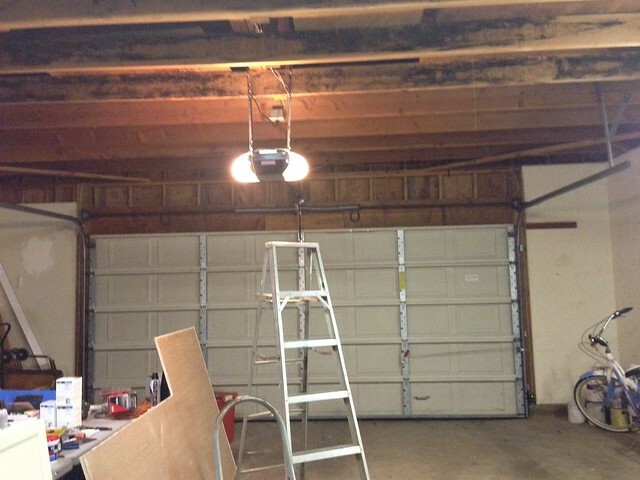 While I was busy painting, Joshua was out in the garage putting in a new opener. The opener that came with the house was old and dying plus the lights didn’t work which isn’t exactly fun when you’re coming home in the dark. The new opener has a keypad, a spiffy console, and an app for your smartphone, all of which you can open the garage door with. Being the techy nerd that I am, I’m looking forward to opening the door with my phone. Looks good! All that green tape on the countertop made me think you were using corn husks for some new faux texture painting technique! Can you ask Siri to open the garage door when you get home? That would be so awesome!!! Okay, the app to open the garage door sounds like the coolest thing! So handy.